When you think of company start-ups, you don’t naturally think of them in the context of church life. But that’s exactly what they’re doing in Bodmin. They have started Bodmin Way, a company to fund their social enterprise work and staff employment including a Pioneer Minister. 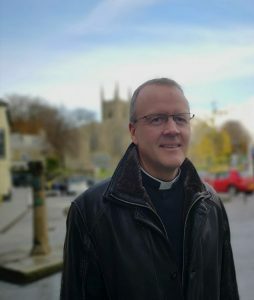 “We have four churches and they have all agreed that starting a company together is a good way to help make an impact on the social problems endemic in Bodmin,” says Revd Paul Holley, Team Rector of the Bodmin Team Benefice. Four churches means four PCCs. That’s no mean feat to get everyone to agree to such a radical plan. “I’m not sure, but I think we are the only church in the diocese to have started a company,” says Paul. So why? What’s the thinking behind setting up a company and how will that make a difference to the community? Paul has a background in health and well-being from his time working with the UN in Switzerland, exploring how Anglicans can have a voice in the medical community. He is convinced that the church has a significant role to play at a local as well as national level. “The need is so great and the funding so small. As a church community we believe we have to do what we can to step into that widening gap,” says Paul. The acid test is always, ‘What would Jesus do?’ and of course He would be there, in the thick of it – but would He set up a company? The acid test is always, ‘What would Jesus do?’ Of course He’d be there, in the thick of it – but would He set up a company? How will the company be funded? The four parishes have been inspired by Bodmin Way. It gives shape to their vision for the community and a tangible, physical manifestation of love in action. 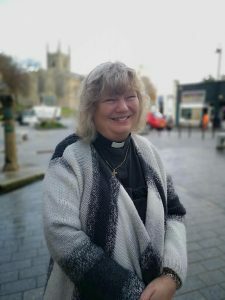 Employing a pioneer minister has been a master-stroke, especially as the role has been filled by Revd Elaine Munday. Elaine is entrenched in community life, having once been a local pub landlady, a teaching assistant at Bodmin College and lives on one of the most challenging housing estates in the area. “It’s a question of seeing what needs to be done and doing it,” says Elaine. “With schools struggling to cope with continued budget cuts, there are things that we can do – like helping to build a poly-tunnel.” Elaine explains how head teachers in the past have been wary of ‘church people’, fearing subterfuge and not-so-cleverly-hidden agendas. “They’ve been blown away by our willingness to roll up our sleeves and just help in the most practical of ways.” Elaine is a very visible presence in the schools. As well as wielding a trowel or a paintbrush, she also takes on the mantle of chaplain to the college, one of the town’s secondary schools and, hopefully, soon to the primary schools. Elaine took a leap of faith when she gave up her job to become a pioneer minister. The role is non-stipendiary, so will rely on the success of the Bodmin Way. Thankfully, grants from the Joseph Rank Trust, the diocese and the deanery help but, to a certain extent, Elaine is partly responsible for paying her own salary. “As I’m non-stipendiary I can retain 80% of the fees from weddings and funerals, and thankfully there’s always a ministry in these life events,” she laughs. And with her work in the schools it wouldn’t be too much of a leap for the number of baptisms to go up as well. Cash aside, these nuts and bolts of church life are all opportunities for ministry and very often the only significant touchpoint between a community and the church.